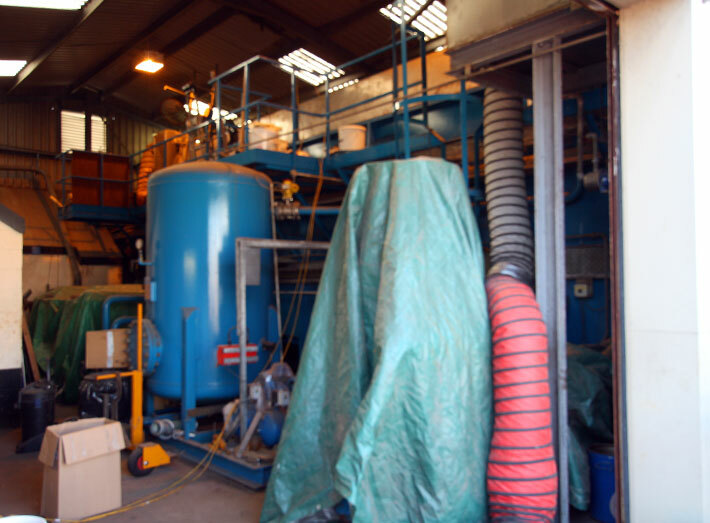 Sui Generis were called in to carry out the refurbishment of a DAF (Dissolved Air Flotation) tank for a food preparation factory with a watertight GRP (fibreglass) lining. 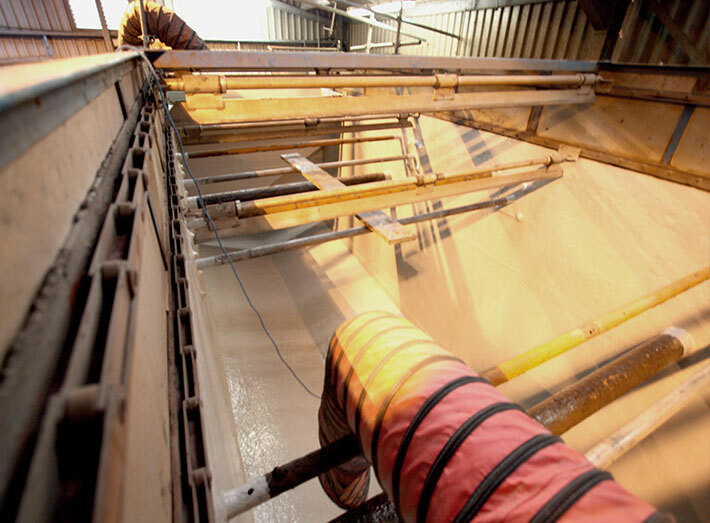 In order to cause minimal disruption the team installed the GRP lining over a bank holiday shut down period, leaving the customer with a tank free from leaks and corrosion for many years to come. 1. Minor repairs and fibreglass lining of a DAF tank for a food preparation factory. 2. 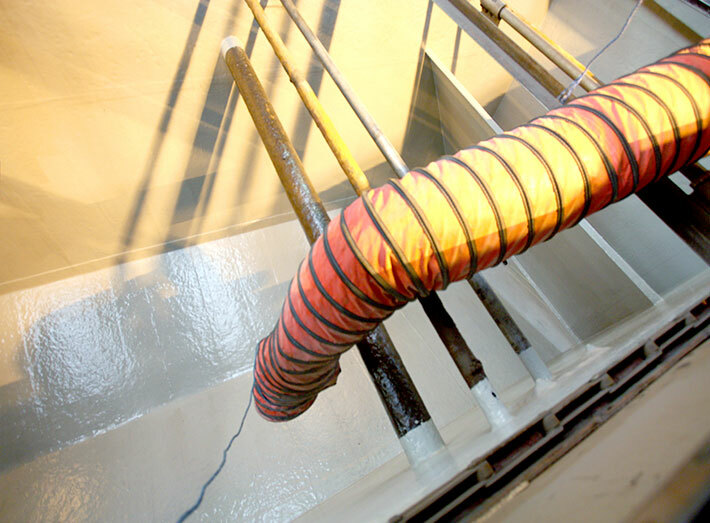 Completed application of an effluent resistant fibreglass lining to DAF cell tank. 3. 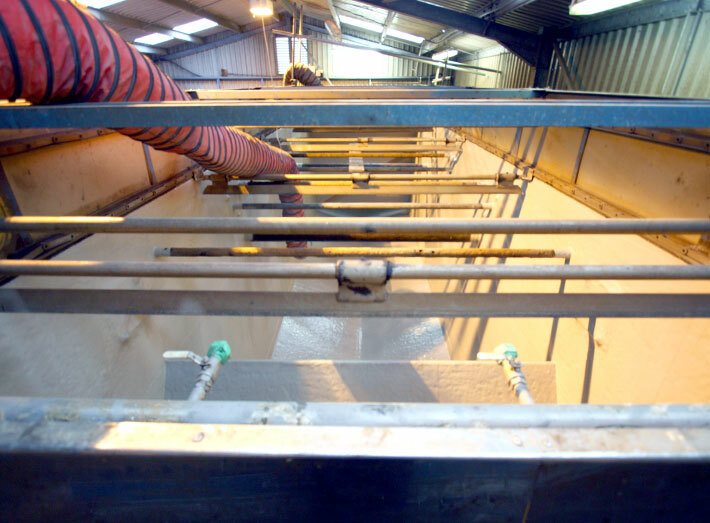 All internal surfaces were prepared by gritblasing, fibreglass lined and coated for a complete seal. 4. Completed DAF tank fibreglass lining. 5. 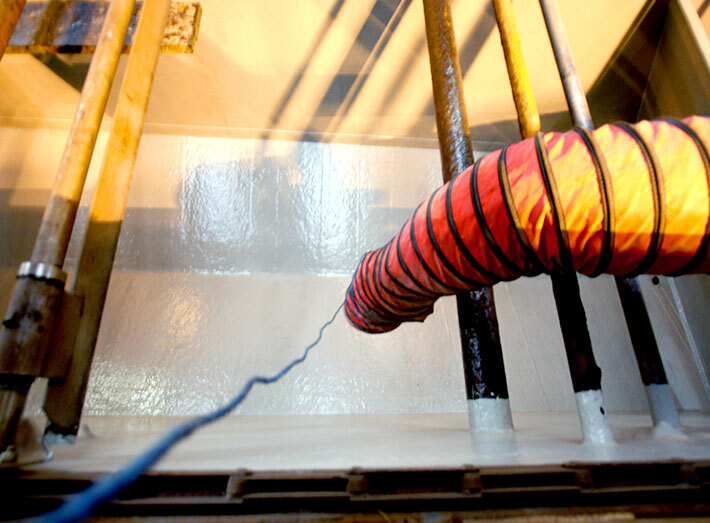 The final coating is subjected to heat to ensure all surfaces are cured before vessels are returned to service. 6. 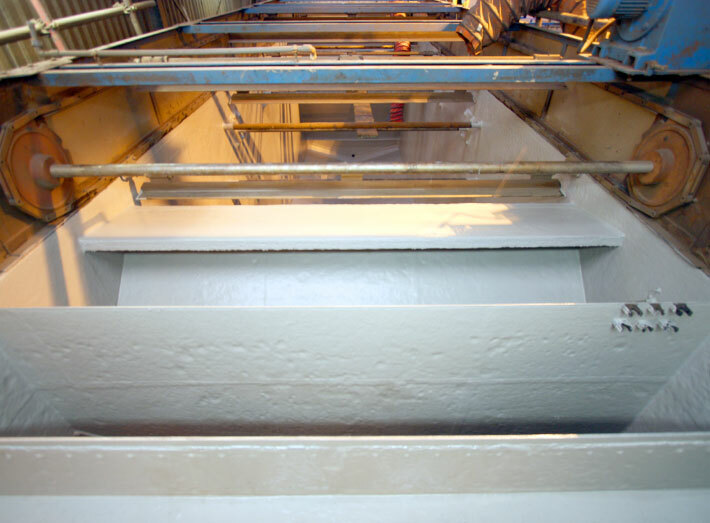 Completed fibreglass lining system to the DAF steel effluent tank and baffles.